It just got a whole lot easier to install Lion on your hackintosh, thanks to Tonymacx86’s new “UniBeast” bootable USB drive utility. In case you didn’t know, a hackintosh is basically a PC that’s been modified to run OS X, and some people create pretty sweet hackintosh setups for half the price of an Apple-branded equivalent. 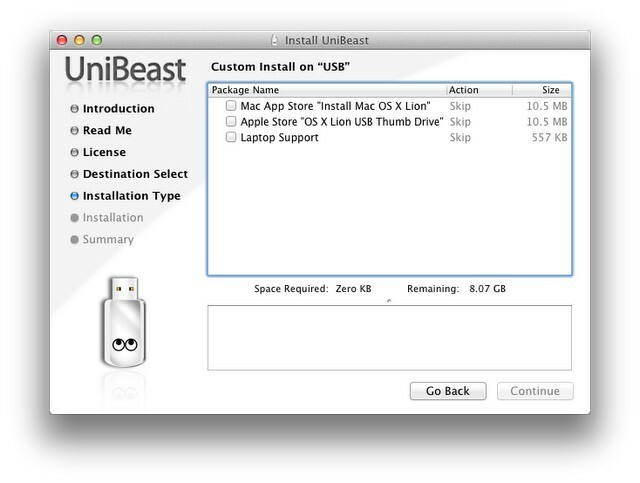 UniBeast is a new tool that makes it easy to install Apple’s newest desktop OS, Lion, on your hackintosh. Not only does UniBeast get rid of the need for an iBoot CD, but it also creates a bootable Lion USB flash drive. 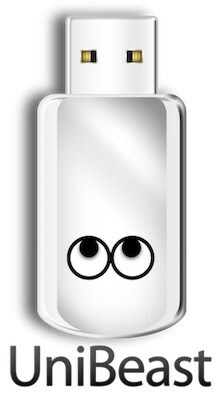 Once you have a copy of Lion from the Mac App Store, UniBeast creates all-in-one bootable Lion USB drive that can even be used for system recovery. After you use UniBeast to boot into Lion on your hackintosh, MultiBeast is used as a post-installation tool that lets you find and install your needed drivers and enable boot from hard drive. Because UniBeast is designed for a 8GB flash drive, you don’t need an optical drive on your hackintosh to install OS X anymore. The instructions for setting up your hackintosh with UniBeast are fairly straightforward. You have to format your USB drive with the Master Boot Record partition scheme and then run the UniBeast installer. The rest, as they say, is a cake walk. My first laptop was a Dell hackintosh, and I absolutely loved tinkering with that thing. It was always difficult to upgrade OS X when a new version of Leopard came out, and you always had to be super conscious of your drivers and iBoot CD compatibility. It’s great to see tools like UniBeast and MultiBeast make hackintoshing easier. Tonymacx86 has a full and detailed tutorial on how to use both tools on his blog.